The Flying Burrito Food Fight. Win free food for a year! | Flying Burrito Co. The Flying Burrito Food Fight. Win free food for a year! You are here: Home » Blog » The Flying Burrito Food Fight. Win free food for a year! We built our restaurant on the idea that our customers know how to create a delicious dish. We’re all about choices and creativity, which is why we’ve decided to have some fun celebrating our 10th anniversary as Northwest Arkansas’ original burrito joint. So get ready for the first ever Flying Burrito Food Fight. The idea is simple. 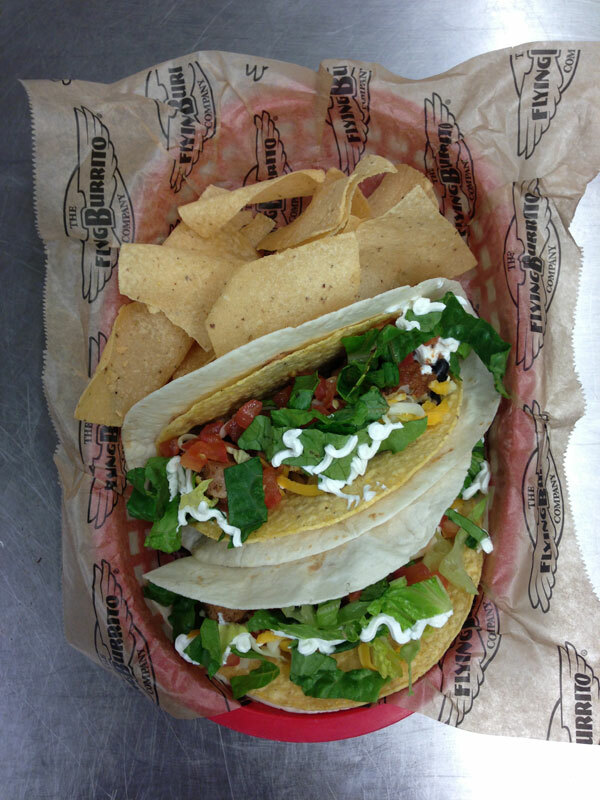 Do you have an idea for a special Flying Burrito menu item? An exciting twist on a regular item? Share it below for a chance to have it featured as a special at all Flying Burrito locations. 1. Submit your creation below. 3. We’ll choose and notify two contestants each month April – August. 5. We’ll tally up the points each month, and the contestant with the most points on Aug. 30 wins the prize package below! Flying Burrito Co. retains the right to all content created as a result of this promotion, including recipes submitted, menu item names, and photos. Flying Burrito also reserves the right to use materials generated as part of the Flying Burrito Food Fight in promotional materials. *Winner will receive a gift card equal to $10 per week for 52 weeks. Excludes alcohol.